The government said the recalled chargers look like this and are stamped with the code "LS-15." 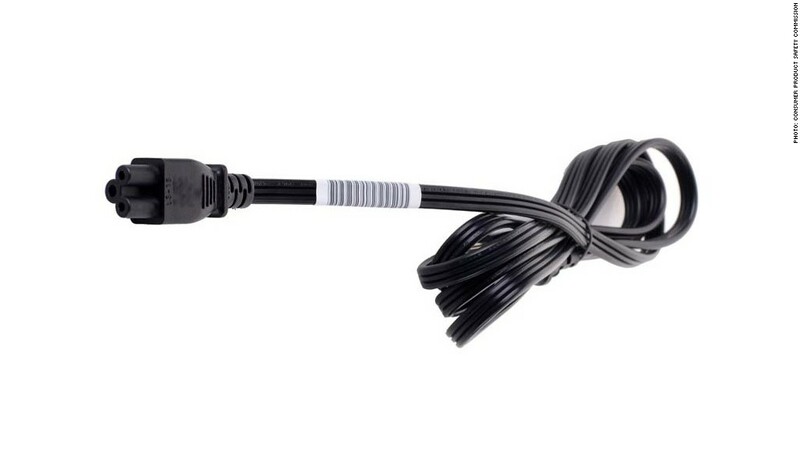 HP is warning customers: Check your laptop charging cord to see if it's at risk of overheating. Hewlett-Packard (HPQ) and federal regulators on Tuesday recalled 6 million power cords sold between September 2010 and June 2012 with some HP and Compaq notebook computers, as well as certain docking stations.